Replacing your Mailbox every year is over! so that when the mailbox is mounted on the mounting post, the mailbox is oriented in a desired position for receiving mail, and so that when the mailbox receives an impact from snow, slush, ice or water thrown from a plowblade as a street is being cleaned in the winter time, or an alternative impact from a vandal striking the mailbox, the mailbox itself will return to the desired position for receiving mail when the impact is no longer applied. 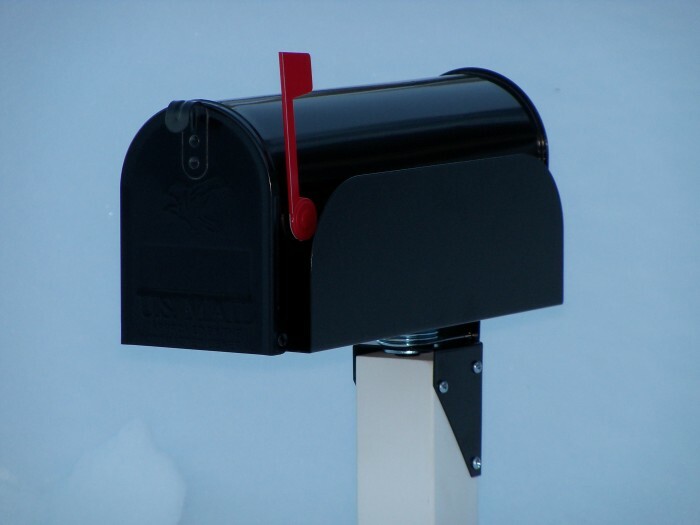 PostalFlex™ assembly protects your mailbox from impacts, such as snow, slush and water thrown from snowplows. The mailbox is also protected from drive-by mishaps and vandalism. 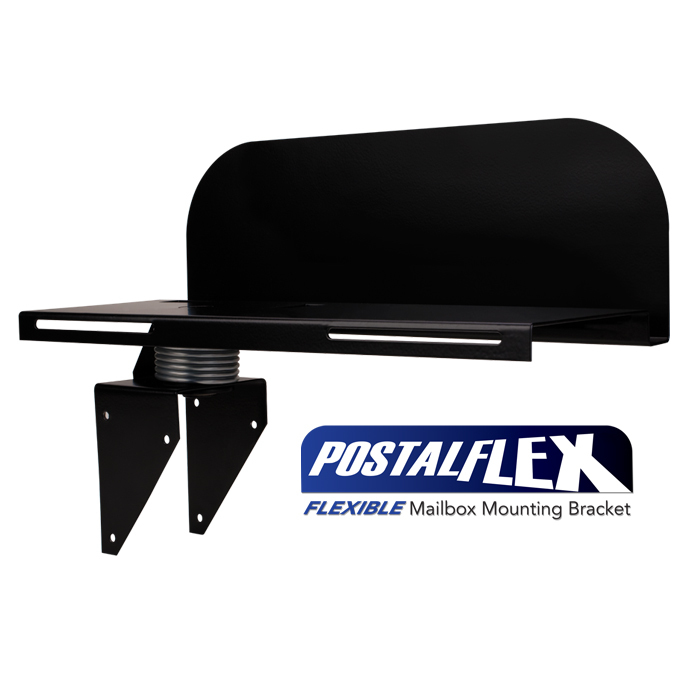 PostalFlex™ is designed to make your mailbox virtually indestructible. 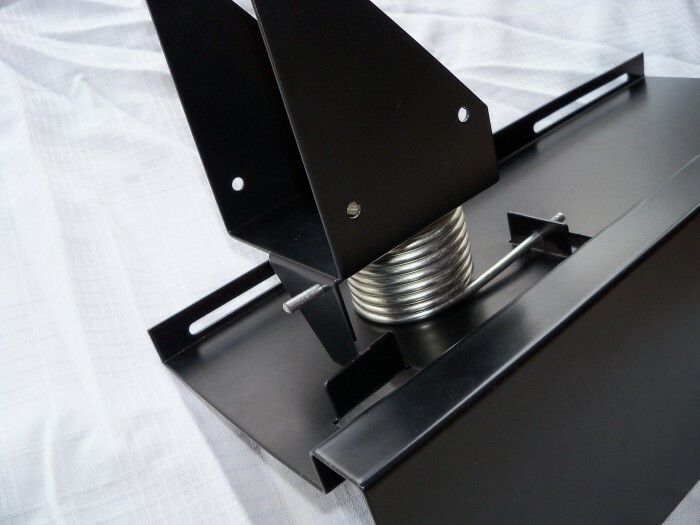 This unique design includes a flexible, heavy duty steel mailbox shield. When hit with a damaging strike PostalFlex™ will immediately move your mailbox on impact, and return it to its original position perfectly intact. PostalFlex™ provides easy installation to any standard 4”x 4” wood post. Simply fasten PostalFlex™ to the post with the screws provided. Then fasten your mailbox with the universal length bolts provided. The inexpensive alternative, that lasts a lifetime. 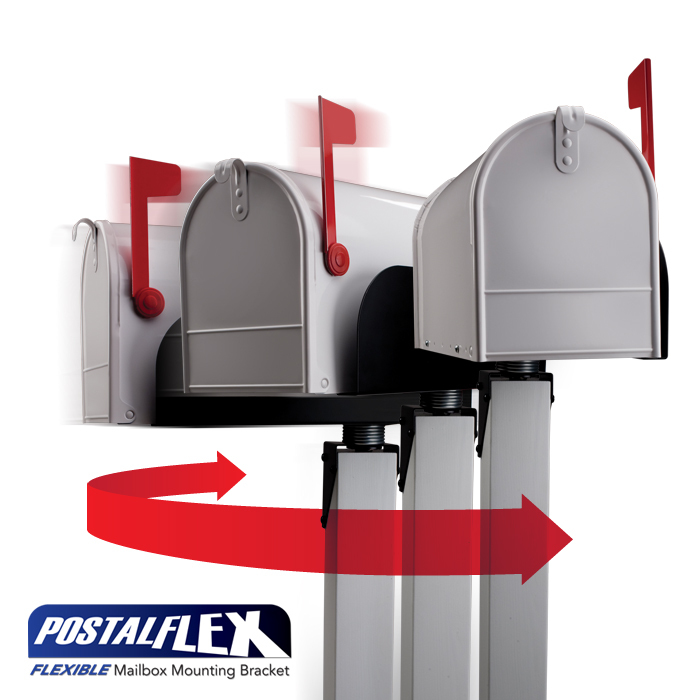 PostalFlex’s™ patented break-away mechanism swings away when any side force is applied, and it springs back into its forward position making your mailbox virtually indestructable! I would like to sell outright, but will consider a license agreement with royalties. This product is currently available at the Home Depot on-line store. 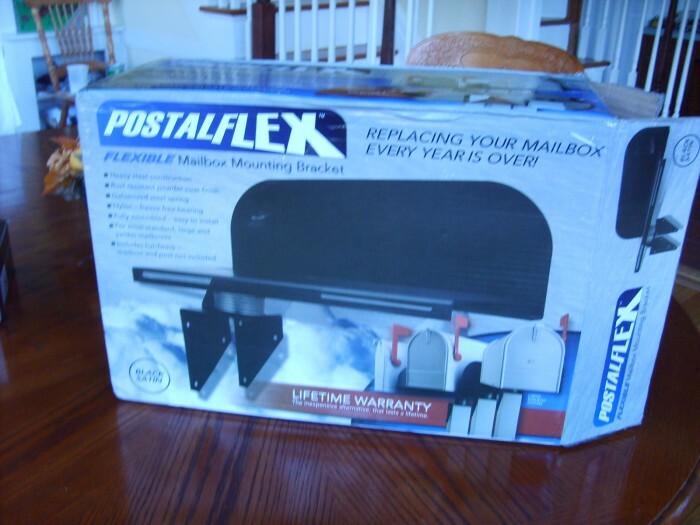 After two years, Postalflex has excellent reviews and few returns. It is my opinion that if this product was available in stores, the sales would increase substantially. If the consumer is buying on-line, they need to know what there looking for, before they can find it! Postalflex is unique, and the only one of its kind, to be sold by Home Depot. No specific conditions for the sale of this product. I do have the Trademark for Postalflex as well. 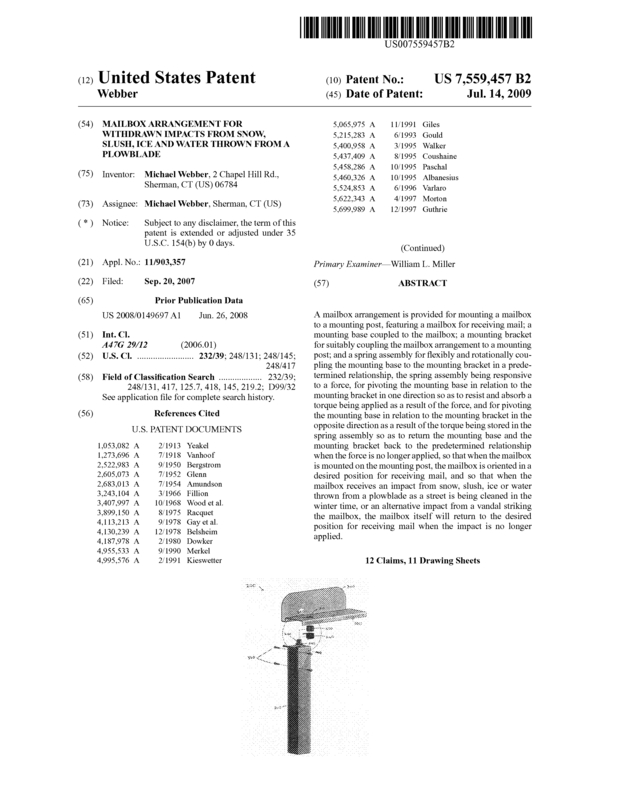 Page created at 2019-04-26 5:55:29, Patent Auction Time.